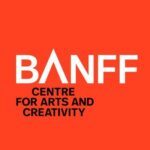 Banff Centre for Arts and Creativity is Canada's leader in arts and culture. We exist to inspire artists and leaders to make their unique contribution to society. We aspire to be the global leader in arts, culture and creativity. 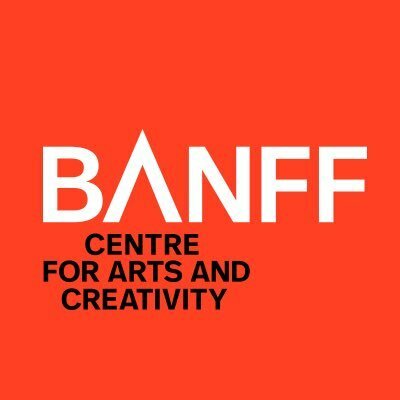 Banff Centre for Arts and Creativity is seeking a Manager, Audience Services. As an integral part of the Events and Public Engagement team, the Manager, Audience Services leads the Audience Services team to help facilitate, promote, and provide an exceptional audience experience for all Banff Centre public events. Specifically, this position will be responsible for managing the front facing services that include the Box Office and Front of House, as well as financial management and operations of the ticketing process and ushering services, hiring, training and supervision of the box office and usher staff, developing regular sales reports and assisting Marketing and the Managing Director, Events & Public Engagement in sales, audience and event development. Develops a business plan for the Box Office and Front of House, which will address hours/days of operation, budget, and staffing plan. The plan will take into account Banff Centre and client needs, as well as resources available. Prepares and monitors departmental budgets in association with the Managing Director, Events and Public Engagement. Responsible for managing the box office ticketing system. Maintains Box Office relationship with Audience View ticketing system vendor including contract negotiations. Responsible for managing the front of house activities including staffing (ushers), food and beverage service, and safety for all patrons at all public events and venues both on and off site. Organizes merchandise sales be it internal or with presenting partners. Hires, trains, coaches, and evaluates a highly customer service oriented staff. Creates a positive working environment through establishing open communication with staff, and role modeling the desired standards of professionalism, teamwork, and customer service. Possesses a thorough knowledge of the Collective Agreement and ensures compliance in the workplace. This includes determining the need for corrective discipline. Maintains positive, open lines of communication with internal departments and external promoters in regard to their ticketing and event needs. Works with the other Banff Centre departments to explore opportunities to facilitate sales opportunities including promoting room packages to ticket buyers, and ticket packages to hotel guests. Collaborates with other Banff Centre departments who help ensure the audience experience is exceptional be it Food and Beverage, Physical Facilities and Production teams. Collaborates with all internal event producing departments for annual festivals and series, such as the Banff Mountain Film & Book Festival, the Presenting Series, the Banff International String Quartet Competition, as well as individual events and external theatre rentals. Compiles daily, weekly, and/or monthly sales reports and audience information as required. Allocation of revenue (ticket and merchandise) and charges to internal departments and external clients. Ensures that staff provides exemplary customer service at all times, and that staff are knowledgeable about specific details of all events, processes and protocols including safety. Resolves customer complaints and secures long-term relationships with customers, and provides feedback to internal departments with respect to customer comments and concerns. Supports the Centre’s marketing plans by maintaining and building an audience database and assists marketing staff in using the database to ensure successful promotion of events. Assists as needed for collecting audience feedback either informally or formally through administration of audience surveys. 3+ years of Box Office Management experience. 3+ years of leadership/staff supervision experience. Diploma/Degree in Business or related experience. Customer centric approach which results in exceptional customer service. Previous business and staff planning experience. Financial Management and reporting experience including cash management, financial reporting and budgeting. Genuinely interested in coaching, mentoring and developing team members to success. Proven technical skills and aptitude to use ticketing management software (Audience View) or other box office software. SQL and HTML is an asset. Technology experience working with an excellent working knowledge of the Microsoft suite of products. A team player that is highly motivated and leads by example. Ability to work under broad direction without close supervision. Proven organizational and project management. Flexible and adaptable to changing priorities and tasks. Strong attention to detail with effective communication skills. We are accepting applications for the Manager, Audience Services until 11:59pm MT on Friday January 4, 2019 but will be reviewing applications on an ongoing basis. Interviews will be held in the New Year.